No need to be a Miss Universe either a Miss World to be crowned. As long as we have healthy hair, we already have a beautiful crown on our head. But, it's need extra care to achieve healthy hair. 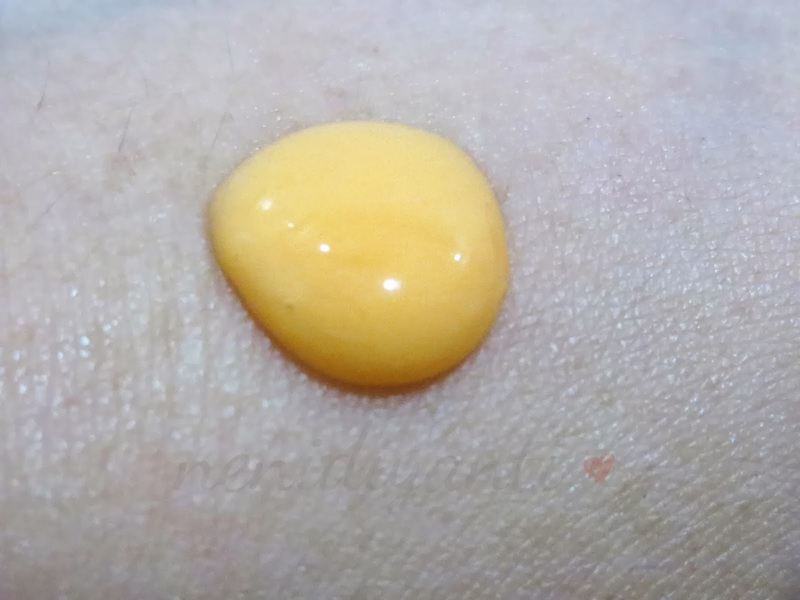 Creambath, hair mask, treatment at favorite saloon, etc. I think most of us have a routine budget for those things (and it's not as small as a cent, right?). 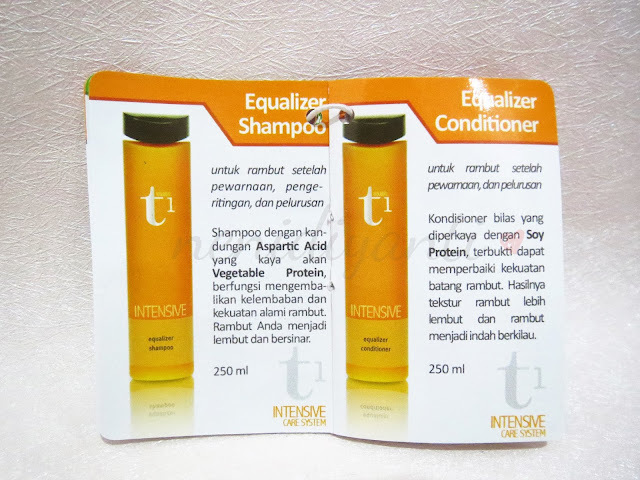 So, how about make an initial step to take care of our hair by choosing a right shampoo and conditioner that suit with our hair condition? I have coloured hair with dry hair tips. And also I used to rebonding and smoothing my hair before. So, practically my hair has been through a lot of chemical process, such as coloring, smoothing, rebonding, and temporary curling with heat hair curler. t1 Shampoo is a shampoo with content-rich Aspartic Acid Vegetable Protein function. 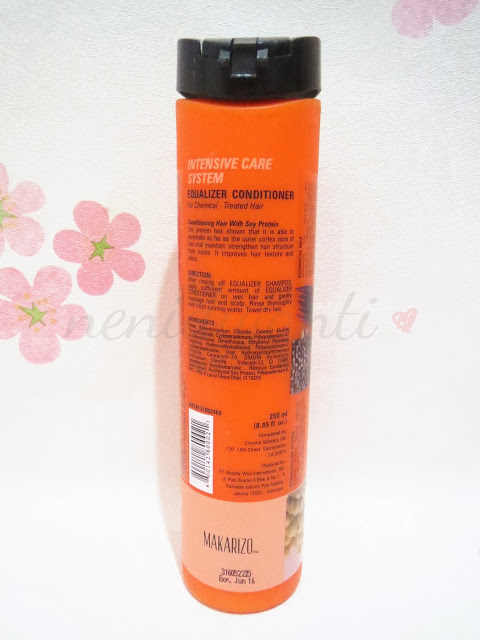 It can restore moisture to the hair, naturally strengthens the hair shaft after chemical process and act as anti pollution for dry and damaged hair. 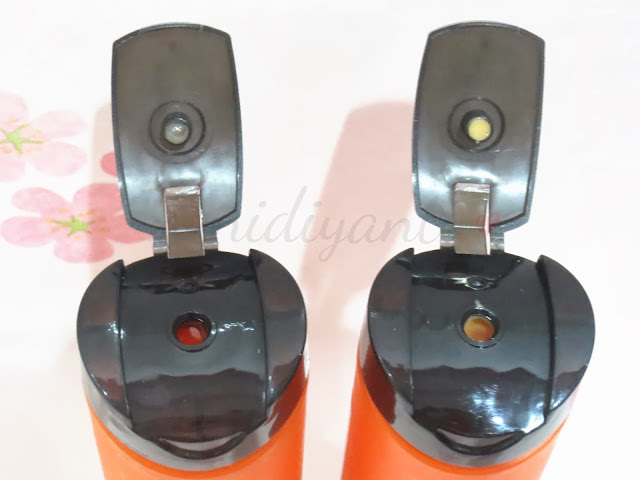 Comes in a hard plastic bottle with orange colour, suddenly it gives fresh feeling every time I saw it. On the back of the bottle, you can find short description about the product, how to use and also the ingredients. It's written in English. For those who don't understand English, the description and how to use info also written in Bahasa. You can find it on the side of the bottle. Both left and right side have information that written in Bahasa. On the other side of the bottle, you can find the description about main ingredients. They are Moringa Seed and Almond Extract. Moringa seed acts as anti pollution for dry and damage hair. It will make the hair smoother and stronger. Meanwhile, the almond extract gives luster and freshness to hair. The flip up bottle cap make it easier to get the contents. But, somehow either the shampoo or the conditioner is hardly get out from the bottle due to the hard sturdy plastic bottle as its container. Yes, because the bottle itself is made by hard plastic, I need to squeeze it with extra power. 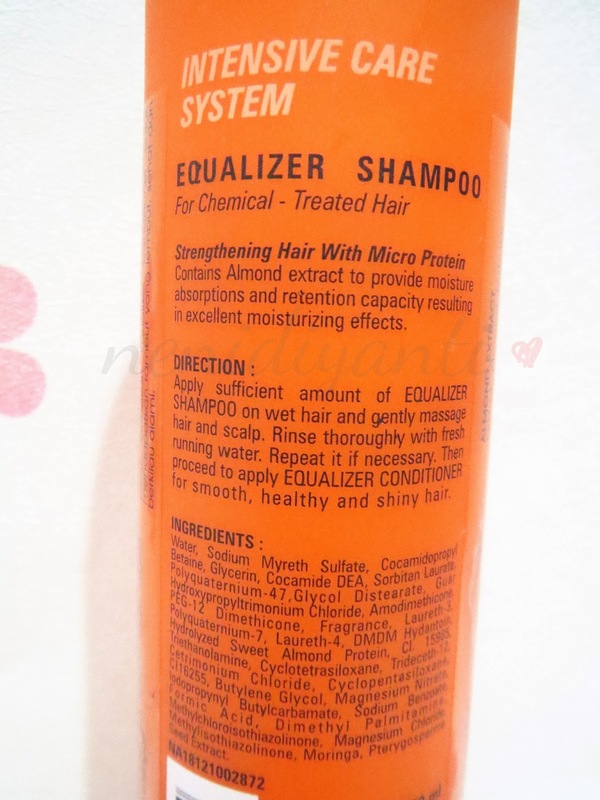 At the first time washing my hair with this shampoo, I'm kinda surprised that this one is almond scented. 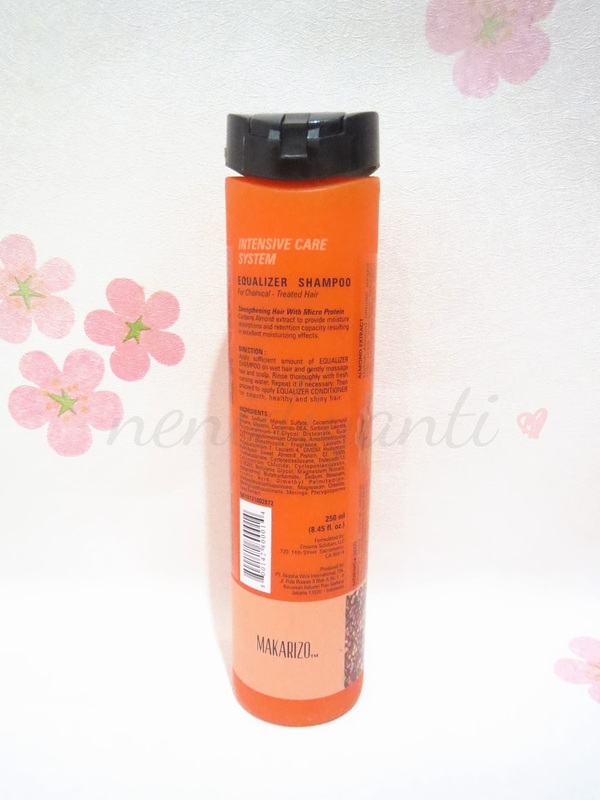 The fragrance itself is so soft, won't hurt your nose ofc hehe (*＾-＾*) It also makes my hair feels smooth and moist. 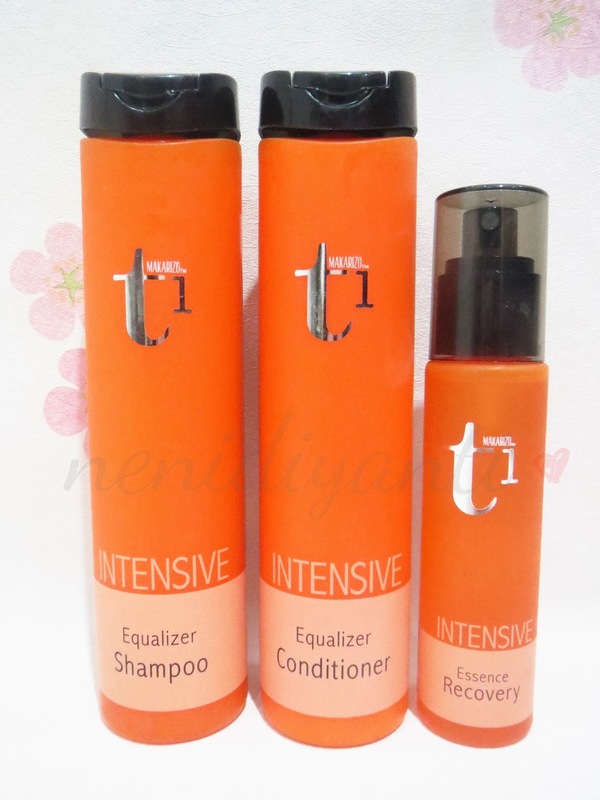 t1 Conditioner is a rinse conditioner enriched with hydrolyzed Soy Protein. It can help to restore the hair shaft strength and elasticity, repair dry, damaged and dull hair. It also can make your hair tangle-free so it will easier to comb your hair. 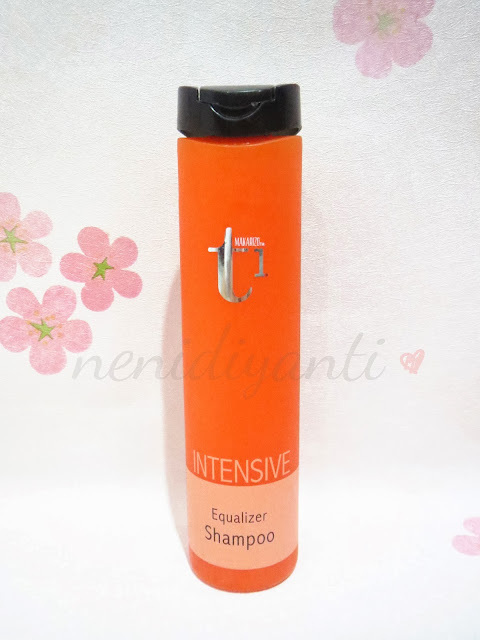 Same like the shampoo, it also comes in hard plastic bottle with orange colour all over it. On the other side of the bottle, you can find the description about main ingredients. They are Hydrolized Soy Protein and Botanical Milk. 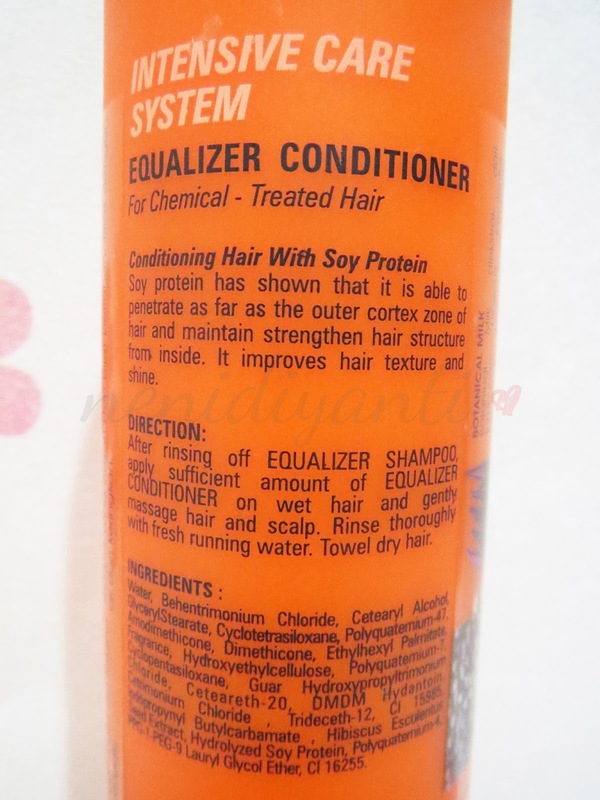 Hydrolized soy protein can stimulate hair growth and strengthen the hair shaft. 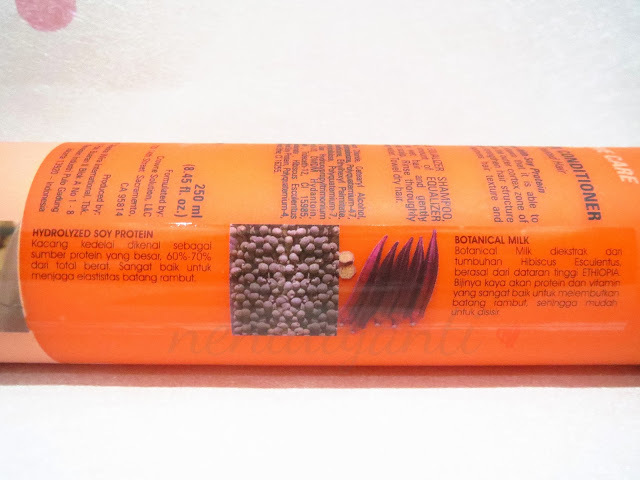 Meanwhile, the botanical milk can help to restore hair elasticity. 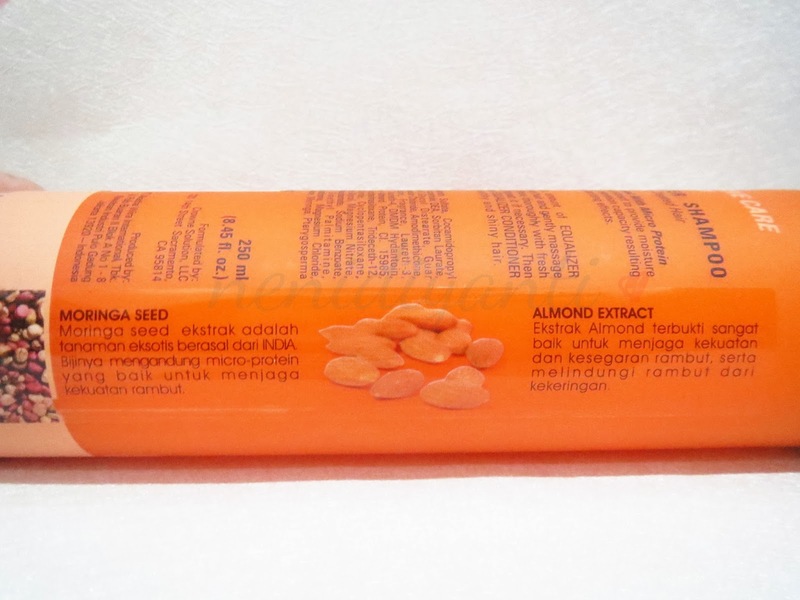 About the fragrance, it's different from the shampoo which has almond scented. 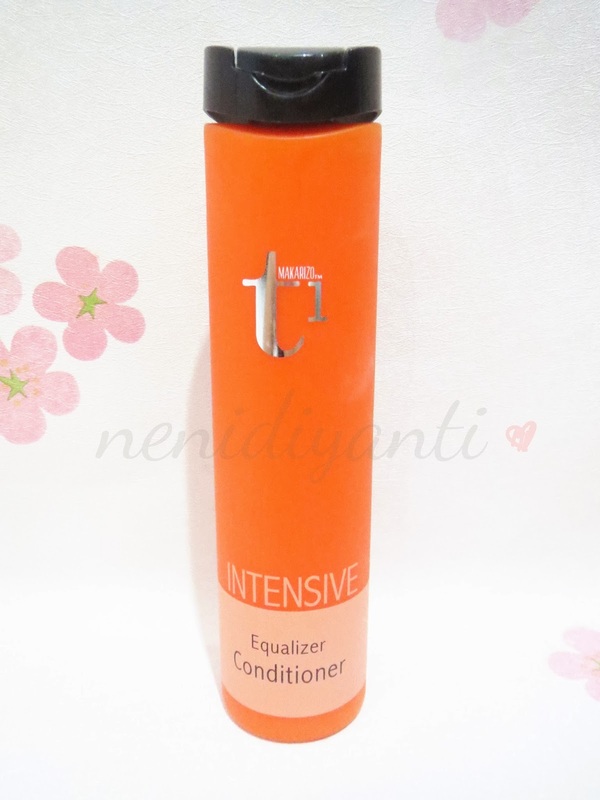 This conditioner has fresh floral fragrance, so it's kinda contradiction with the shampoo. But since the shampoo's fragrance is so soft, I only smell fresh floral fragrance after bathing. This mini booklet was tied in both of shampoo and conditioner bottle. It gives short description about the products. 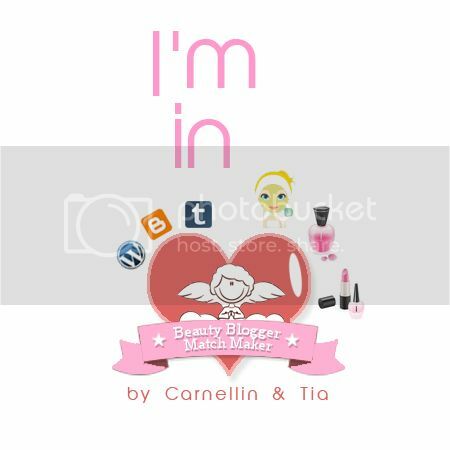 If you purchased these products, you'll also get this mini booklet tied on the bottle. We don't have t1 brand in our country,but these looks good. I agree with your haircare tip, shampoo + conditioner is a must for me too.